MBC Game HERO started out as Pirates of Space, comprised of a number of total misfits such as Sinji_NT, Lee, and JoyO. These players were by no means bad, but when these players are the cream of the crop for a team, it certainly spells big trouble. Pirates of Space failed to qualify for the first two seasons of the ProLeague, and only started participating in SKY 2004 ProLeague R1, more than a year after the first ProLeague matches were shown on television. From this total mess of a team rose, July, a former terran player who didn't even use control groups to maneuver his units around. With machine like practice he was able to transform himself into a zerg player of deadly talents, and proceeded to win numerous individual leagues the prize money of which he shared with his teammates in order to sustain the team's finances. Although this team was really lacking in terms of financial support, it is one of the most storied teams in professional Brood War history, and was able to give birth to some of the most influential players in history such as Shark, who discovered the ability to stack mutalisks permanently, and PuSan, who revolutionized the protoss-versus-terran meta-game with his heavy focus on arbiters and immaculate build order optimizations. 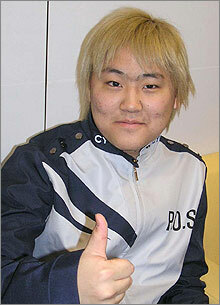 MBC Game HERO was also able to develop all-time level great players such as July, and Bisu. Both these players had their greatest individual league triumphs while they stayed with this team, but sadly both were let go due to the team's inability to provide the salaries these legendary players deserved. With their ace player July, Pirates of Space were able to qualify into the ProLeague season as a bottom feeder team with no stand-out players outside of July. July was the alpha-and-omega of the team, being the sole representative of the team in the deep stages of the individual leagues (back when multiple individual leagues such as KT-KTF Premier League, iTV Ranking Tournament, OGN StarLeague, and the MSL used to the all aired on television)., and playing one-versus-one and two-versus-two games, as well as sometimes off-racing to push limits of the ProLeague policies involving a team's reliance on a single player. PuSan used to be the ace player of another rock bottom team, PLUS (that would later become Hwaseung Oz), but he was recruited by Pirates of Space, and after teaching Anytime the basic theory of protoss play, PuSan, was no longer able to bear the Spartan regime coach Cho constantly expected from his players. While Pirates of Space was also a total mess of a team in terms of infrastructure, PuSan thrived in the more laid back approach of the team, and replaced July as the one-versus-one ProLeague ace of the team, and did his role in two-versus-two games alongside July. July was starting to get burnt out after being expected to be the sole ProLeague carry of the team, teaching young players how to prepare for one-versus-one games and two-versus-two games, as well as participating in numerous individual leagues. If July was able to put Pirates of Space on the map as a legitimate professional Brood War team, PuSan was able to share the burden with July, something that was definitely needed after July was starting to lose his initial drive fast. With PuSan doing brilliantly as a the one-versus-one ace, July was able to focus more on his two-versus-two ProLeague demands rather than doing literally everything for the team. PuSan was by far the most trustworthy ProLeague ace for MBC Game HERO in all of history in terms of ProLeague ACE match performances. In fact, PuSan holds the all-time record for ACE match victories (eleven consecutive ProLeague ACE match victories), as well as being the all-time record holder for ACE match victories for the team (fourteen ACE match victories if I remember right). It was the rise of Sea, the terran prodigy, that became the spark necessary for the greatest era of MBC Game HERO. While Sea never did anything noteworthy outside of context of the ProLeague, he was approaching Taek-Beng-LeeSsang level in terms of his excellence within the ProLeague realm. Sea was for one and a half years the best ProLeague player with the records and titles to back it all up. 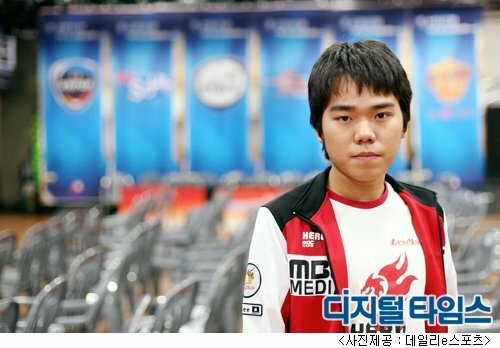 Light did heavily outperform Sea in his stand-out seasons, but he was promptly sold off to Woongjin Stars in early 2011, and Sea was back to pumping out over 40 ProLeague victories (while Light failed to do so for the 2010/2011 season) for MBC Game HERO despite Light leaving the team by the end of 2011. It seemed weird to sandwich Light in between Sea's consistently excellent performance for his team, as amazing as he was. It was rather like my decision not to reciprocate between Bisu and FanTaSy in their respective seasons of excellence as the clear ace of the team, but award Bisu the entire span of the era for being better than FanTaSy from a holistic point of view. Light was the third best performing terran during this time-frame, and was stellar especially in the Winners League, where his amazing ability to play without much emphasis on pre-game preparations shined through. It was these two years of ProLeague excellence, as well as his professional demeanor (Sea was much more individualistic and more casual towards his professional of choice), that caught the eye of Woongjin Stars. MBC Game HERO produced greater players than Sea such as July and Bisu, but in terms of their services for the team itself within the ProLeague realm, there is nobody that can even touch Sea. Not only is he one of the longest serving ProLeague one-versus-one aces for any team (Sea was the best ProLeague player for the vast majority of his time at the team from 2006 to 2011), he was the go-to man for one-versus-one matches while MBC Game HERO was the undisputed best team on the planet towards the end of 2006. When MBC Game HERO disbanded in 2011, Sea was one of the players picked up by Team 8, but since that team was made up of players from various teams such as Hwaseong Oz, WedMade Fox, and MBC Game HERO, it would be fair to say the lineage of MBC Game HERO ended in 2011. These three, dubbed as the "Park (July)-Ji (PuSan)-Sung (sea)" of the MBC Game HERO were the three heroes who managed to pull a hopeless team out of the dumpster, and managed to become the best ProLeague team of the 2006 season. Only three years before that, the team wasn't even good enough to qualify for the ProLeague. Tragically, even though MBC Game HERO managed to rise from the depths of hopeless despair all the way to the glorious top, thanks to the help of aces such as July, PuSan, and Sea, the team itself was doomed from the start. This team wasn't meant for glory. This team wasn't designed for winning the championship. The funds simply didn't allow it. July had his pay check cut in half despite sharing all his prize pool with the team when he was the best player on the planet. Players were told directly that the funds simply didn't sufficient to pay for multiple championship level players, and excellence would not be rewarded financially speaking. Bisu, the next protoss hope, had to be sold off to SK Telecom T1 to make room for salaries intended ProLeague aces such as Sea and Light. July was dumped unceremoniously after his outrage that all his sacrifices to turn what was once a useless team that couldn't even qualify to the ProLeague into a championship winning one had been all for nothing. Players with lackadaisical attitudes like PuSan and Sea made it right at home, barely putting the hours to improve themselves, and rationalizing their laziness with MBC Game HERO's policies to not reward excellence, but rather wishing mediocrity upon their players so that their finances could be managed more easily. July must have once dreamed of making his team like SK Telecom T1. The best player on the planet creating a lasting legacy that goes beyond the peak years of his reign at the top. The highers ups of MBC Game HERO never intended to let that happen, but the talents and ProLeague results of numerous players thrived nonetheless. A true oddity of a team that achieved ProLeague greatness when Sea started to show promises of being a truly fantastic player before July and PuSan years were over as top players of their own race. Imagine what could have happened if MBC Game HERO decided to reward their Cinderella story with a pay rise instead of a pay cut. Sea might not have been on cruise-mode for the entirety of his professional career. July definitely would not have had to nearly put an end to his professional career after he felt betrayed and lied to. PuSan might have gained the results to further spread his name as the savant of the protoss race. Sea was really weird in that he somewhat embraced the defective nature of his team's policies towards striving for greatness, and managed to sustain himself as the ProLeague ace of the team for years on end despite having next to zero incentive from his team to push himself to his limits. July was someone who quickly became disillusioned with the reality of his situation, but Sea managed to make the best out of the circumstances and became one of the greatest ProLeague players in history. Wow, I never made the connection that players like July and Bisu who pushed really hard left MBCGame Heroes while laid back guys like Sea and PuSan stayed. These what ifs of BW make me wish that I was present during that time and had seen a formidable Heroes team with both July and Bisu alongside Light and Sea. I personally believe that it was PuSan that made the protoss line-up formible for MBC Game HERO during its heyday, not Bisu. 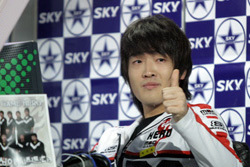 Bisu never had a single season where he outperformed PuSan in the ProLeague during his stay at the team from 2005 to 2007. Bisu started to become a ProLeague beast after his transfer to SK Telecom T1. Bisu was raised in an odd environment where the likes of July, PuSan, and Sea made a miracle happen, and created a championship level team from nothing. However, instead of the team pushing for more, the players were told that their excellence in the ProLeague was not only not necessary, but counter-productive for their low budget. Perhaps that is why Bisu never did all that much for MBC Game HERO in the ProLeague even when he was totally killing it in the individual leagues.